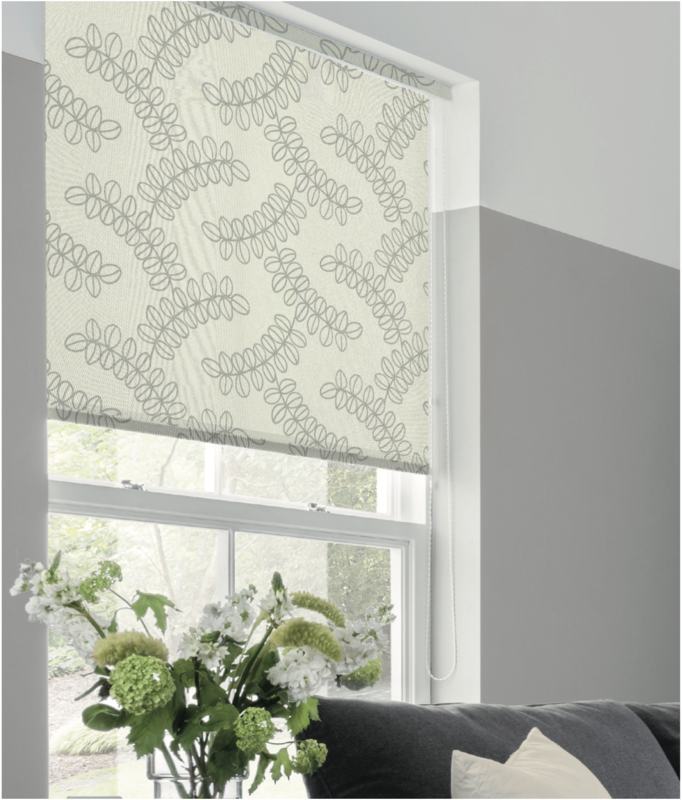 Roller blinds are one of the most popular blind types and offer a great solution for shading and privacy. Fabrics are available to suit every room & colour scheme, including blackout* options for bedrooms and moisture-resistant options for bathrooms. The fabric range can be found on the following pages. Many of the fabrics are available as both roller and vertical blinds for a fully co-ordinated look - simply check the icons for availability. All our roller blinds are made with top quality Louvolite components, designed and manufactured in the UK and tested for a 10 year lifespan. We use 32mm or 40mm diameter aluminium tubes depending on the size of the blind, each with a choice of component colour. 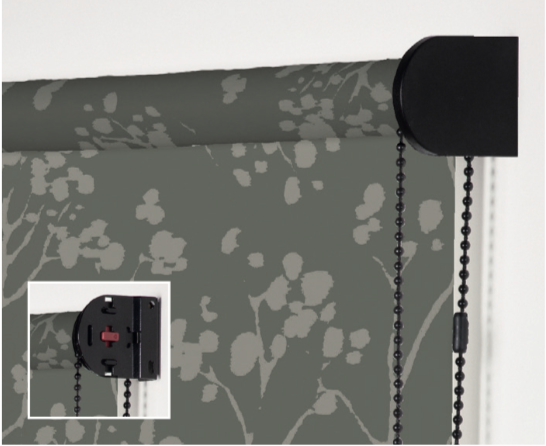 An optional cassette headrail is available in a range of colours for a stylish finishing touch. 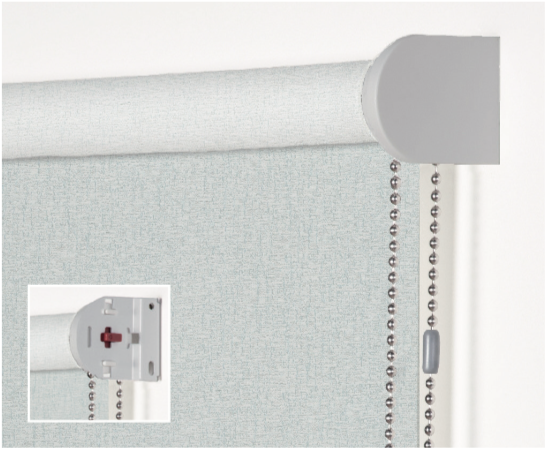 Blinds are controlled by a colour co-ordinating chain and the bottom bar is fabric wrapped for a neat and durable finish. Alternative finishes include chain-free 'Soft rise' control, motorised with remote control and a range of decorative bottom bars. The main images show components with complementary bracket covers. The inset images show the component colour without the bracket cover. 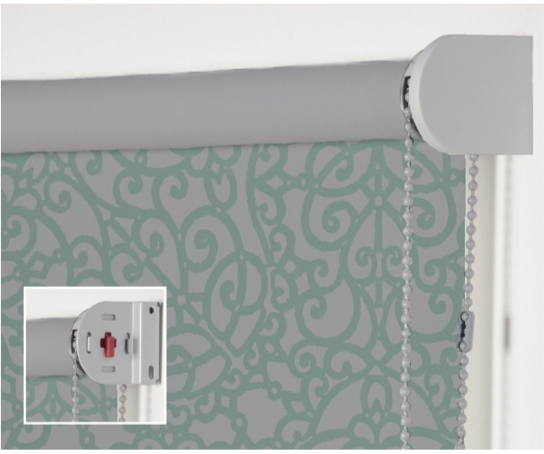 *Please note that although blackout roller blinds will significantly reduce the amount of light passing through the blind, some light will still be visible around the sides of the blind. 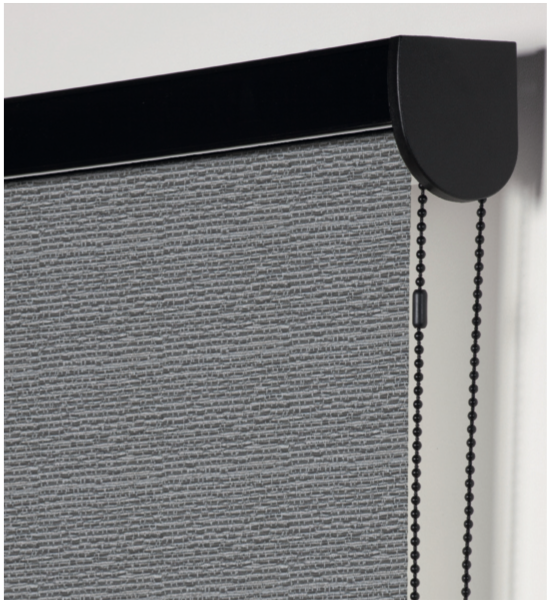 As standard, blinds are made with a plastic chain positioned to the right hand side of the blind; this can be changed to the left hand side if required. All chains are colour matched to the component colour and include two child- safe chain-breaks to ensure child safety. Silver chains (with grey chain-breaks) are available at no extra cost. 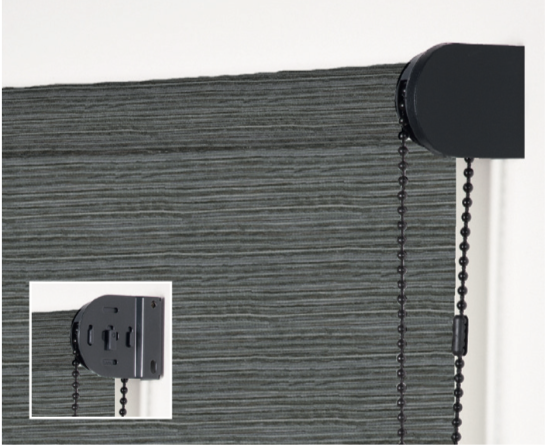 For heavyweight blinds, a continuous chain can be specified but this must be used with a chain tidy (attached to the wall or window recess) to meet child safety standards. Our optional chain-free Soft rise system uses a spring and brake mechanism for accurate and smooth control of the blind. 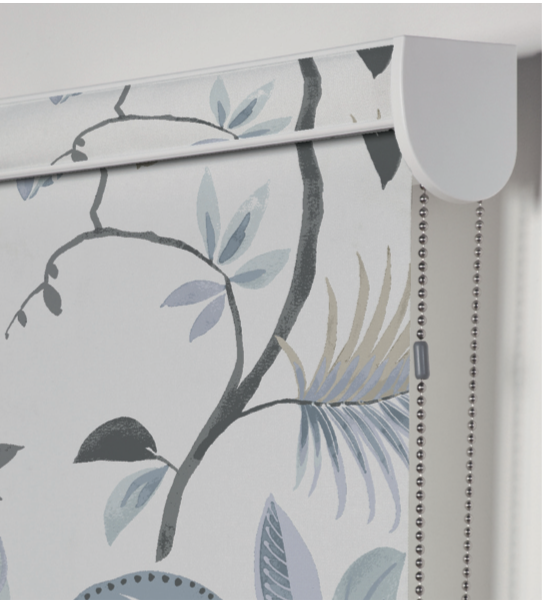 Soft rise blinds are operated by hand from the bottom rail and the blind rises smoothly to a pre-set upper stop when released. When specifying Soft rise we recommend the use of decorative tassel or decorative bar. 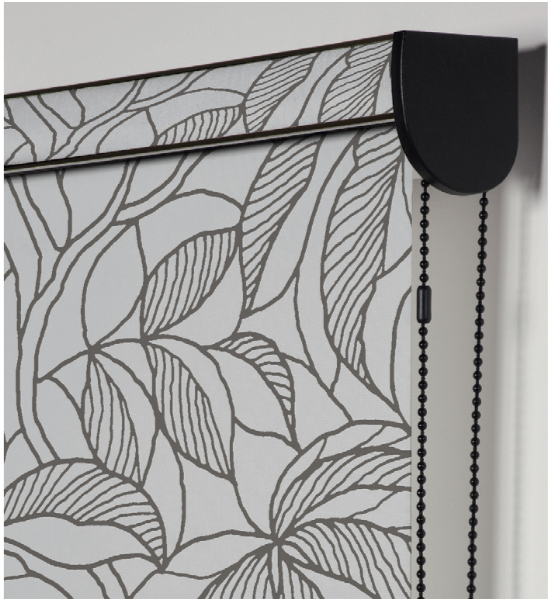 Optional tassels can be used to decorate all roller blinds but are particularly suited to Soft rise controls. Details of our current range can be found in the Price List. 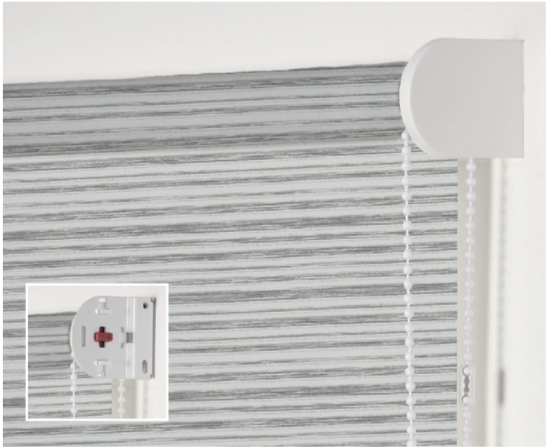 All roller blinds can be motorised for the ultimate in convenience and child-safety. We provide a wide range of options from the motorisation and remote control of a single blind, to multiple blinds (and blind types), to full home automation with smart phone/table app and voice control. All our blinds are made to meet the BS:EN13120 child safety standards. We recommend using our Soft rise or motorised options which are inherently safe as they completely remove chain loops. 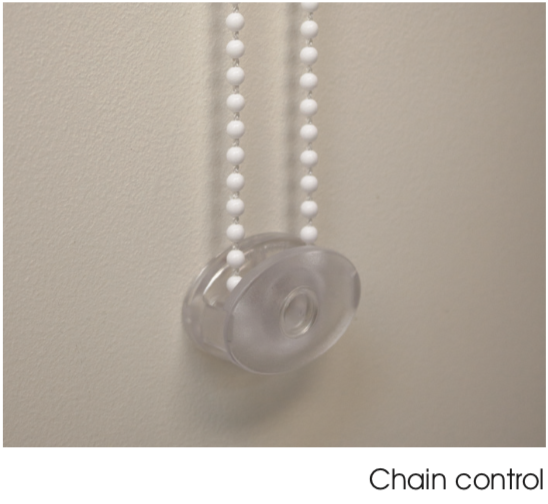 If you prefer chain controls, blinds are supplied with two child-safe chain-break devices. If you specify a continuous chain this will be supplied with a child- safe chain tidy to secure the free end of the chain to the wall or window recess. The child-safe devices must be used to ensure the safe operation of the blind. Further details, including installation height and cord lengths, can be found in our child Safety leaflet or from the 'curtain Express' or 'Make it Safe' websites. 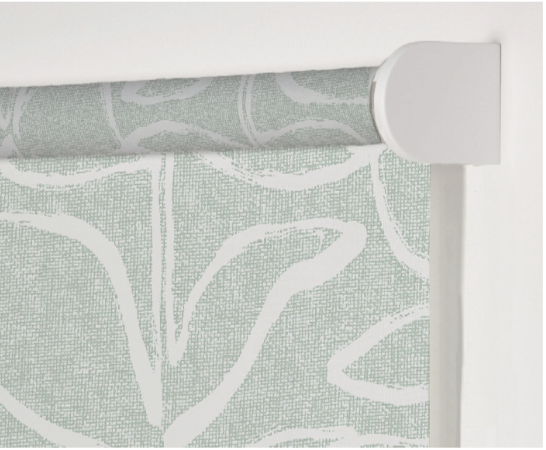 A cassette headrail is a stylish enhancement to any roller blind. Several colours are available to co-ordinate with your colour scheme and blind components. 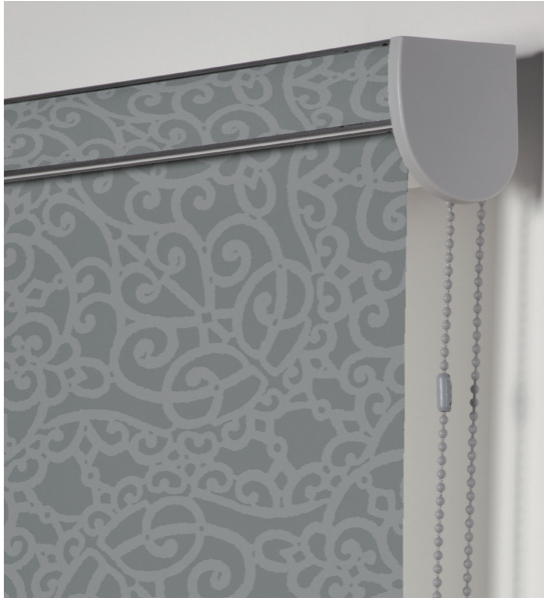 The fascia pelmet can be exposed, covered in the roller blind fabric or a contrasting colour from our carlton fabric range. For a fully co-ordinated look, use the same contrast colour for the fascia and bottom bar. Standard colour combinations are shown on the following page. All blinds are made with a fabric-covered white plastic bottom bar which gives weight to the blind and a durable finish. End caps co-ordinate with your chosen component colour. For a more individual look, the bottom bar can be covered in a contrasting fabric from our carlton range. A clear bar with clear end caps is used for more transparent fabrics (with a transparency of 1 in the price list). An aluminium bar is available if greater weight is required and this can either be covered or left exposed for a decorative contrast. We recommend using the aluminium bar on blinds wider than 2000mm. round decorative bars are also available in white and aluminium. 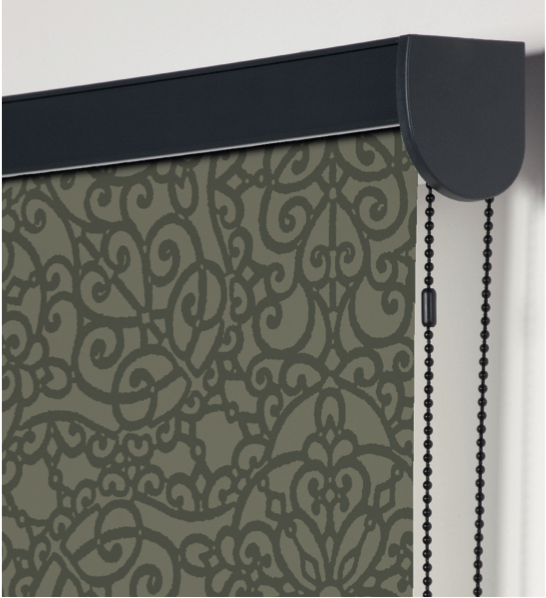 These are a great choice for Soft rise controls where the blind is operated from the bottom bar.